Take a look at Bokeh posing with my Devon Rex calendar, which features my painting of him as a kitten. He is all grown up with stunning orange eyes – such a difference from his baby blues. Such a lovely ‘naughty’ slant to them too! Posted in Suzanne's FAQ's	| Comments Off on BOKEH ALL GROWN UP! I always wonder what happens to my prints etc., once I have sent them out to their new ‘homes’. Have the new owners framed them – or have they – like me – ‘not quite got around to it yet!’ Occasionally I get sent a photo, and one such, is this photo of my print ‘Nimrod’ – which is my best-seller. 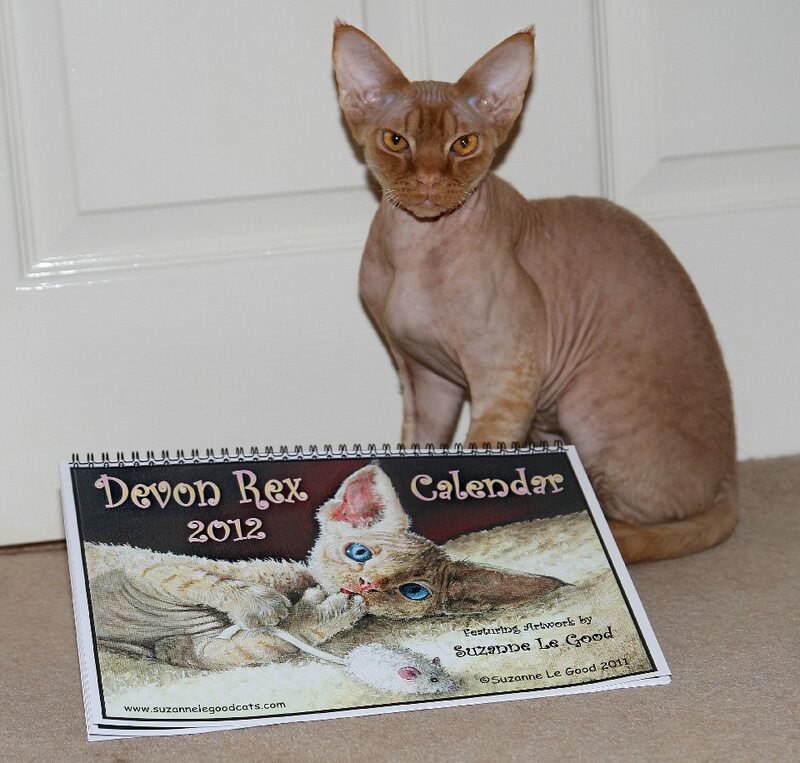 Kat, from the USA, says ” I think it looks fantastic! 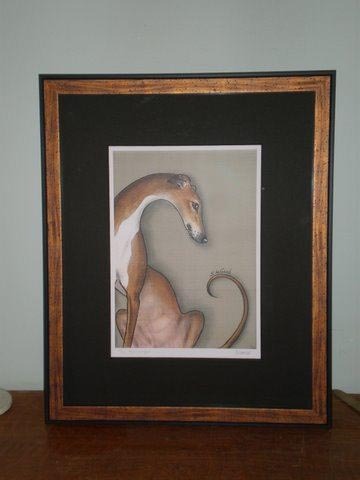 I just picked it up from the framers the other day so haven’t hung it yet.” Of course, that is another obstacle to cross – screwing or knocking a nail into the wall! Another of my regular customers has sent me a photo of some of my prints which she has hanging on her stairway. This is only a small part of her collection. 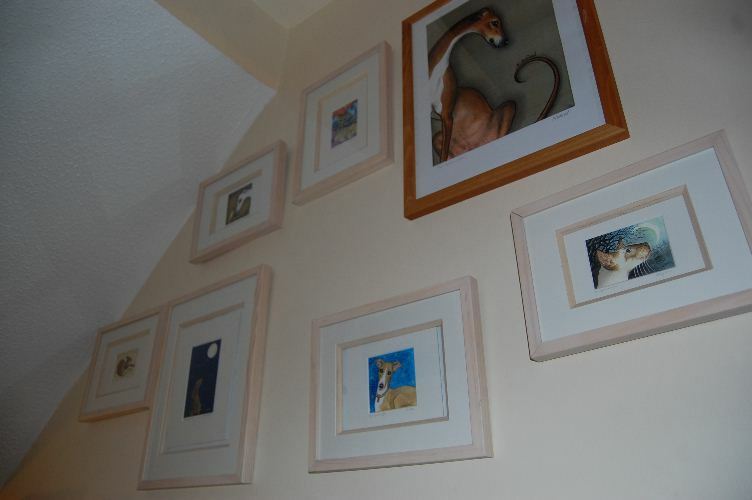 I like the way she has ‘double-mounted’ the smaller prints. 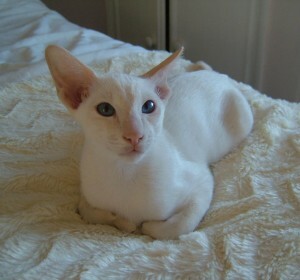 You can see that ‘Nimrod’ has appeared again! 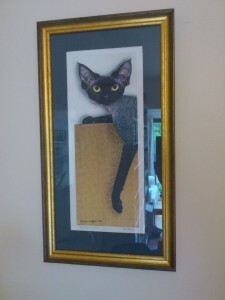 I see on your website that you are interested in how your work has been framed. Here is a photo of our Ondine, which we love. Apologies for the window reflection – could not be avoided). I think the framer got it just right. 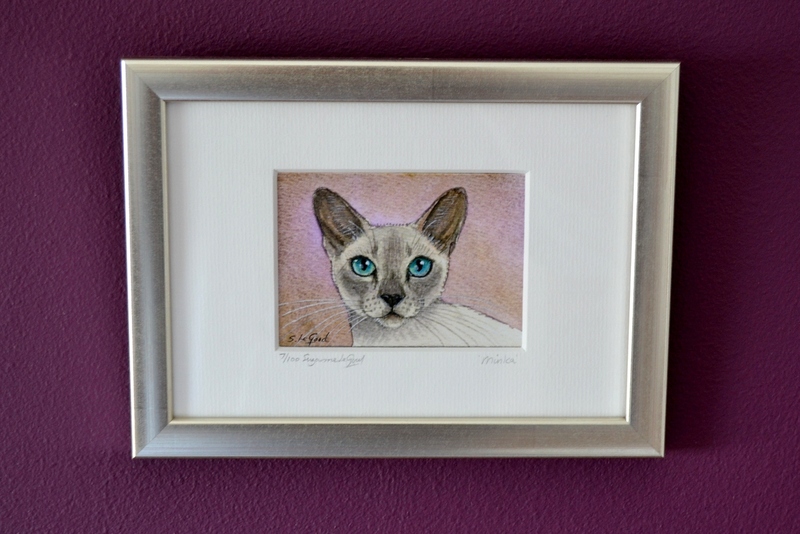 Another customer recently sent me a photo of my Tonkinese print, Minka, framed. 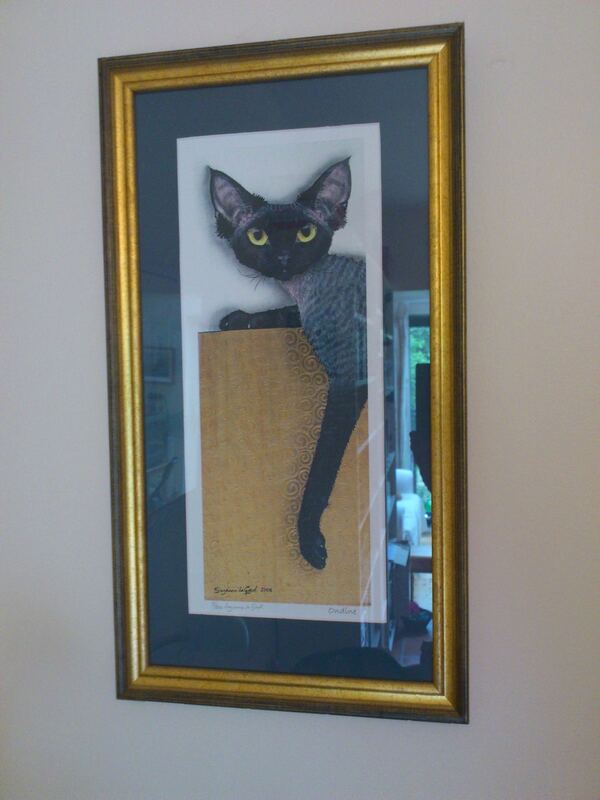 I think the colour of the frame sets the cat’s colouring off perfectly. Posted in Suzanne's FAQ's	| Comments Off on WHAT DO MY PRINTS LOOK LIKE FRAMED? I have just spent a great couple of hours in the early morning sun searching my local beach for sea glass. I found some lovely pieces. However, the gorgeous Cobalt blue pieces are usually too small to paint on. 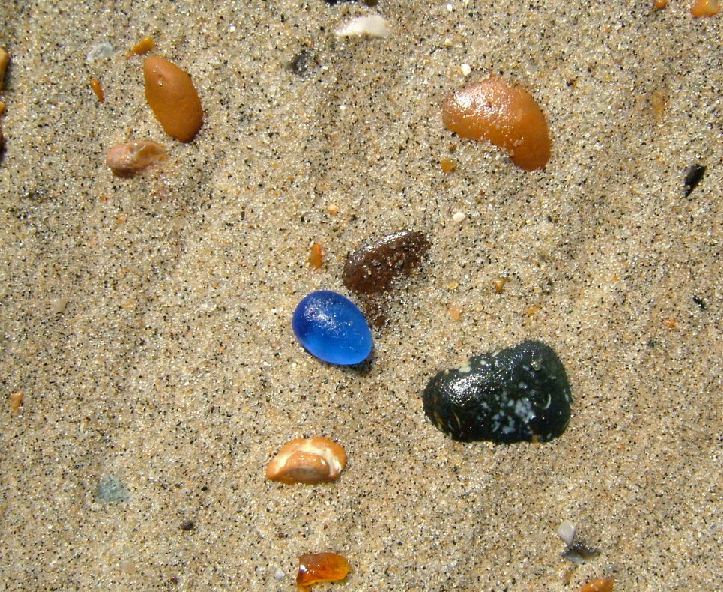 A piece of Cobalt blue Sea Glass shines like a jewel in the sun - still wet from the sea. 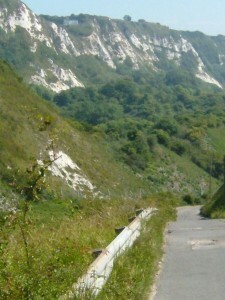 In the Warren, at the base of the cliffs, between the railway track which runs between Folkestone and Dover, there is a densely wooded area, dark and mysterious, full of ‘Old Man’s Beard’ creepers and Harts Tongue ferns. In my younger days, this was my ‘Terabithia’ *, where my friend and I used go after school, to build dens and discover new hideaways – which all had secret names. I remember collecting blackberries which my mum used to make her delicious blackberry and apple crumble. Chalky paths wind through the dark woodland, occasionally opening into sunlit glades with views to the sea on one side, and the towering cliffs, with their circling gulls, on the other. After a short walk to the beach towards Folkestone, where the chalk cliffs turn to clay, we used to collect ammonite fossils which had tumbled down from the eroding clay cliffs onto the beach. These were sometimes covered in a thin but beautiful, Mother of Pearl layer. We loved to bathe in the sun-warmed sea-water pools in the rocks left by the ebbing tide. Those were the days! 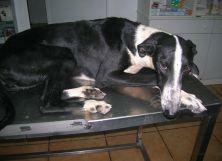 Sighthound Welfare Trust is a registered charity (no 1114709) providing essential funds and support to sighthound rescues and highlighting the dreadful fate of many hounds in the UK, Eire and Spain. 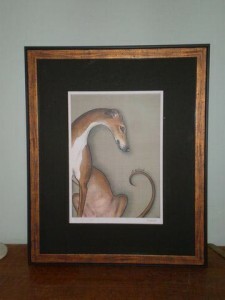 They regularly hold online auctions – they are holding one at the moment, to raise funds for the treatment of an injured Galgo (Spanish greyhound) named Guapita. 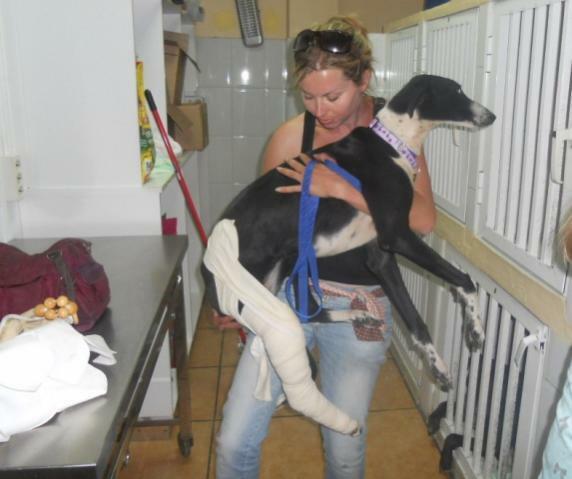 She was taken from a Spanish hunter, with a severely fractured leg. 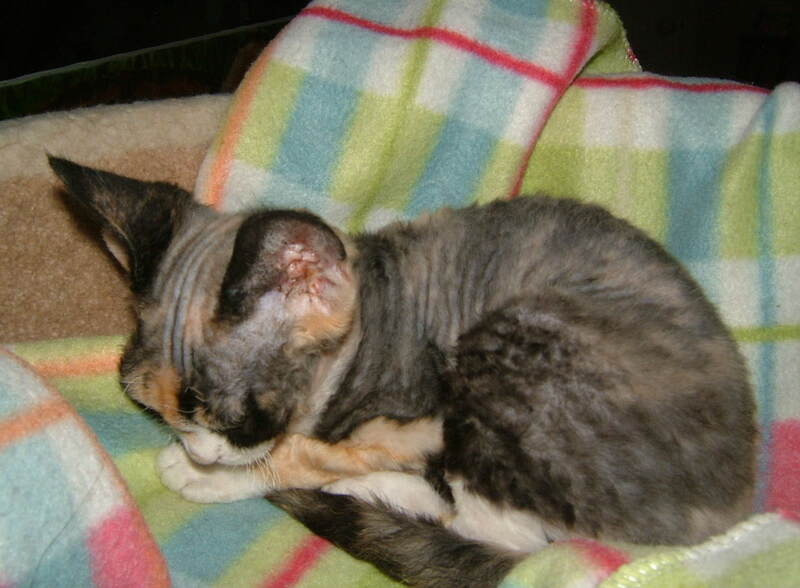 If she hadn’t been rescued, she would probably have been killed, or left to die in agony. 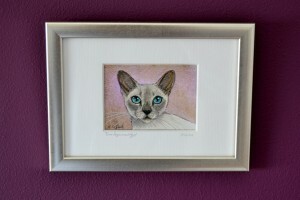 One of my prints ‘Nimrod’ is in the auction. I have a link to the website on my Links page. 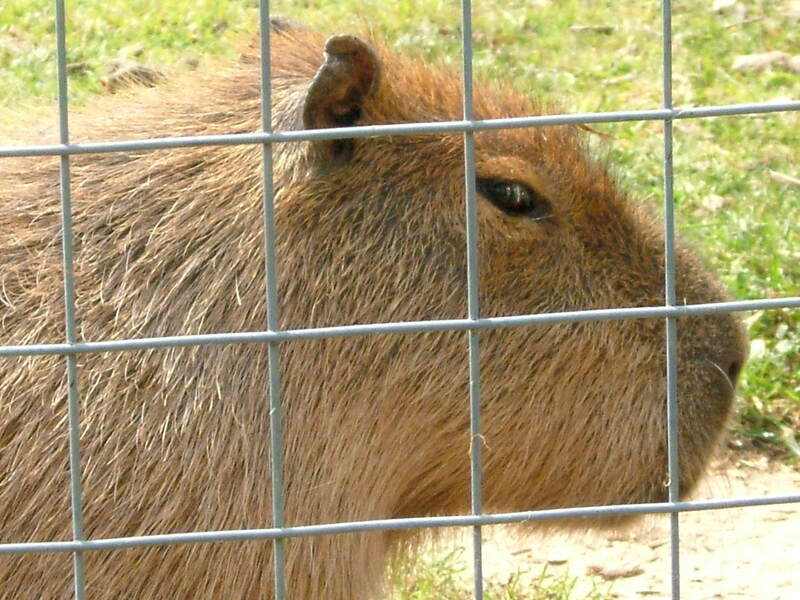 I recently visited Howletts Wild Animal Park, near Canterbury, to photograph the Capybara for my Little and Large series of paintings ( Guinea Pig and Capybara). 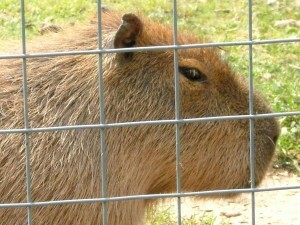 they have two lovely ‘herds’ of these huge rodents, who, as it was hot and midday, spent most of their time laying and rolling around. I love their haughty, nonchalant expressions. Howletts is impeccably tidy and well-kept, and the emphasis is on the well-being of the animals – which can mean that sometimes they can be hard to find in their well-planted and animal-friendly enclosures – especially on hot days!